According to the chairman of the Committee Judge Dennis Davis, who also spoke at the press conference, a full review will be conducted on whether the tax system may be changed to better support economic growth, boost employment levels, enhance social development, while ensuring that the government is able to raise enough revenues to maintain planned levels of expenditure and public spending. Investigations will also be conducted into new means of eliminating tax evasion, cutting down excessive profit shifting by taxpayers, and preventing corrosion of the national tax base. 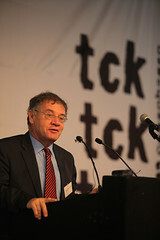 According to the Committee’s working plan, specific reviews will also be held into the tax treatment of businesses operating in the mining sector, one of the biggest contributors to the nation’s economy, in order to determine what changes may be made to encourage greater international competitiveness while providing a social benefit to South Africa.